Where can you grab a nice lunch in Vegas...? I strolled around the Venetian because I was lazy and since I was staying there, it seemed like the obvious choice. First off, I blame the stupid hotel for listing in their printed catalogs in the room saying that Bouchon was open for lunch. It's not! Only breakfast and dinner. I actually think David Burke isn't open for lunch anymore even though their site says they are. Last time I was in Vegas they didn't seem to be open or maybe it was just that day?? If you want to go there for lunch, be sure to call and ask first. 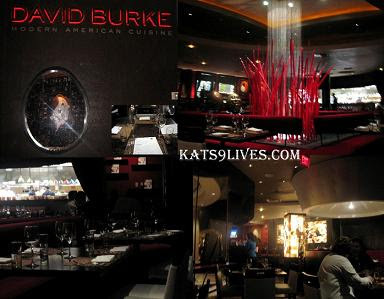 David Burke's signature is an egg design, which reminds me of Salvador Dalí 's egg fetish. The decor is simple and modern. Anybody that walks by can view people dining inside or the decor. My first time at David Burke for lunch I immediately decided to order the Kobe Beef Carpaccio with Pickled Onions and Red Cow Parmesan Reggiano. This was pretty tasty and tangy. The presentation was very nice and I really enjoyed the cheese on top. Now that I think about it, I should go grab some at the store for myself! ^_^ All the flavors mixed well together... hence why I went back the next day with Ms. Lin! Haha She enjoyed it too. I made the mistake on my first trip to order from their regular menu. Maybe I should have just stuck with the appetizers. If only Ms. Lin told me beforehand what was good! lol I got their Chicken Salad that was nothing too special. At least they gave a decent amount of chicken, but the flavors didn't quite work out well together. We also got the Chicken Club with Grilled Chicken Paillard, Smoked Bacon, and Lemon Aioli. The dish was nicely presented. I thought the fries and ketchup were really cute on the plate. So cute that I didn't even open it up to use! haha The chicken was a bit dry for my liking and I couldn't really taste the aioli. I should have just ordered 2 Kobe Beef Carpaccios lol. For dessert they had a few interesting options. 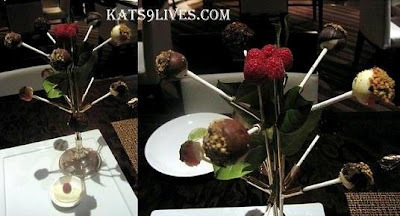 At that time I was extremely intrigued about David Burke's Cheesecake Lollipop Tree with Bubblegum Whip Cream. This little dessert set me back $18!!! Since it sounded so cool and cute, I had to have it. The presentation was really cute and in reality... this should be pretty simple to make! They make 3 different flavors of cheesecake, dipped in chocolate, and rolled in toppings. I thought the flavors were not bad but freaking expensive! The Bubblegum Whip Cream was just nasty though. It was fun to try this out, but not worth the price. 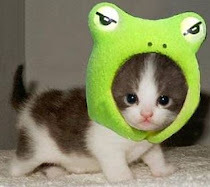 I can definitely make this at home =P. All in all it was a fun lunch and I got to try something new. It was quite an expensive meal and the main courses weren't really worth it. Still it was not an overall bad experience or else I wouldn't have gone back the next day with Ms. Lin. Of course I am here to learn from my mistakes and choose more carefully for the follow-up trip. Perfect. 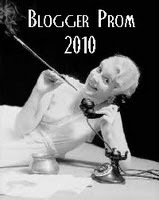 Someone just asked me for recommendations for restaurants in Las Vegas - this sounds good! you always pick some interesting things to eat. teach me. Haha Matt you are so funny. I am always exploring. Plan a trip to CA and I will show you around ^_^ Or when I make it back to NY... I can show you the ropes of yummy food. SinBala : Darn You For Being So Far Away! Newport Tan Cang : Now Accepting Credit Cards! Bi-Rite Creamery : Even More Impressed Now! Bahama Breeze : Jamaican Jerk Wings! Brian's Beach Sushi : What! No Photos! Jack's Bakery : We Finally Meet Jack!